in the weeds: regulations around marketing cannabis & what it means for marketers. Who knew there would be a day when us marketers would be facing the possibility of having to market cannabis!? Well that day came and as of October 17, 2018, our country went where no other North American country had gone before: nationwide legalization of cannabis. Not just medical cannabis, but legit recreational cannabis. All of a sudden, 4/20 takes on a whole new meaning. So where does that leave us marketers? How do we market a product that likely has far too many six-point font disclaimers, with ever-so-carefully thought out messaging and imagery that will be scrutinized even before it goes public? News flash: this isn’t new for us because believe it or not, there is a lot of careful consideration into the messaging we choose with any marketing before it goes public. Who we market to, where we market and how we market is a part of what we do and yes, this comes with a lot responsibility. There are already a lot of hoops to jump through and steps to take when marketing cannabis thanks to the Government. They may have legalized the “stoner” drug, but they’re not really going to make it easy for us now, are they? Case in point: I’m currently in talks with a cannabis company who want to franchise across Canada and they need to onboard marketing help. After having our initial conversation and learning about the amount of red tape involved in even licensing-to-operate a store, it came to my attention that this was going to be no easy feat. In the 1950’s and 1960’s when the Marlboro Man was dominating billboards, radio and TV advertisements claiming that their product didn’t “have any serious health threats”, there were few if any regulations on how a product like tobacco could and should market. Eventually, because of all the backlash and claims of health risks, cancer and death, there was a law passed in 1964 requiring warning labels on tobacco products and restrictions on tobacco advertisements moving forward. Fast-forward to 2019, the tobacco industry has been scrutinized as we know, prohibited in public places and has had to implement several health warnings that are LEGALLY REQUIRED to be on their packaging and in all of their marketing efforts. Because of this, a lot of cannabis retailers and producers are now facing something similar, only now there are strict(er) laws in place before they can even go to market. Late last year the CMA published a guide on Permitted Cannabis Marketing Activities that outlined permissible and prohibited marketing activities contained in the Cannabis Act. 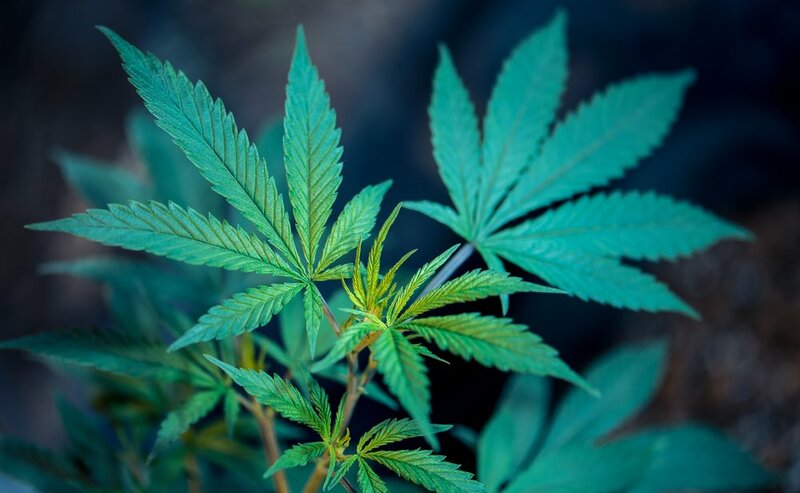 It also identified aspects of the legislation that are unclear and lists relevant policies to be considered as marketers prepare to promote cannabis and cannabis-related products. So how do we as marketers effectively market cannabis? How creative can we be in our advertising and marketing efforts without getting taken over by legal disclaimers, legal content and intense scrutiny? Placement is another big deal because there are obviously legal restrictions when it comes to age and who can purchase cannabis, so how do we advertise appropriately in public without speaking to an underage demographic? As you can see, there are a lot of questions and concerns about how one markets cannabis. And fortunately, the tobacco industry has taught us some lessons, paving the way for products that are difficult to market and highly regulated by the government. Much like anything we learn in this constantly changing, quick-paced world of advertising and marketing, we learn how to roll with the punches, adjust, align and prosper. We have to look at this new terrain as an opportunity to push the envelope and make our mark. This will allow us to be more creative, think outside of the box and make our mark in an industry that is just getting started. In 2011 and 2012, branding for cannabis that was legal (medicinal) was unsophisticated and unfortunately, not a lot of companies really paid attention to that part of the business. What we are now starting to see are businesses playing catch up because it’s an opportunity for businesses to make a mark with their brand, looking more professional and geared towards the various audiences that consume the product. The “Bob Marley” brand is not a way to market weed anymore. Sorry. Whether you are pro-cannabis legalization or not, it is here, and it’s here to stay. Noteworthy is a place where I share heaps of need-to-know marketing information, news and updates, the occasional exclusive offer made available only to subscribers and other stuff you won’t want to miss out on. I respect your privacy! I understand spamming and don’t worry, that’s the last thing you’ll get from me. Consider this the first email marketing campaign that will nudge you only when needed. Applause! Fist pump! Pop open that champagne bottle and give yourself a high five! Just a couple more steps to confirm your humanity and you’re in!